While the rules vary from cardroom to cardroom, the following list covers the most common, and most important, rules for poker tournaments. I've also made a printable poker tournament rules sheet for your next home tournament! It includes a recommended blind structure. This would be a good structure if you have about 20 players, start with 1000 chips, have 15 minute levels, and would like the tournament to last about 3 hours. A player may not show any cards from their hand while the play of the hand is in progress. (Rule #4) Sometimes in cash games, when there are only two players remaining, one player will expose his/her hand to intimidate the other player or look for a tell. That isn't allowed in tournaments, because of the possibility of collusion. All hands will be turned face up when a player is all-in and the betting action is complete. (Rule #9) Here's another rule that is enforced just to avoid any disputes or perceived collusion between players. In most cash games you aren't required to turn up your hand. In tournaments you are, just like on TV. Besides, it makes it more fun that way. Ok, here is the complete list of rules! Players are responsible for protecting their own hands. Any hand that hits the muck, or has the wrong number of cards, is a dead hand. No refunds of chips already bet will be given. The cards speak. If a player miscalls their hand at the showdown, those statements are not binding. Verbal bets are binding. A player who declares bet, call, or raise, will be required to complete the action. A player may not show any cards from their hand while the play of the hand is in progress. A player who deliberately exposes their hand may have it declared dead. String bets are not allowed. If a player does not announce a bet amount, then the player can not put chips in the pot and follow it with more chips in separate actions. The original amount put in the pit is the bet as long as it meets the minimum requirements of the action (i.e., a minimum bet or call amount). A bet of a single chip is a call unless otherwise announced. To be safe, it is always best to verbally announce your intention to raise. Dead button rule. No player may miss the big blind due to elimination of another player. The button may occasionally stay in front of the same player 2 hands in a row. Absent players. An absent player is always dealt in and will post blinds and antes. If a player is not at the table when action reaches them, their hand is dead. All hands will be turned face up when a player is all-in and the betting action is complete. Once a new hand has begun, no decision can be rendered about a previous hand. If two (or more) players go broke during the same hand, the player starting the hand with the larger amount of money finishes in the higher tournament place. Dealmaking. 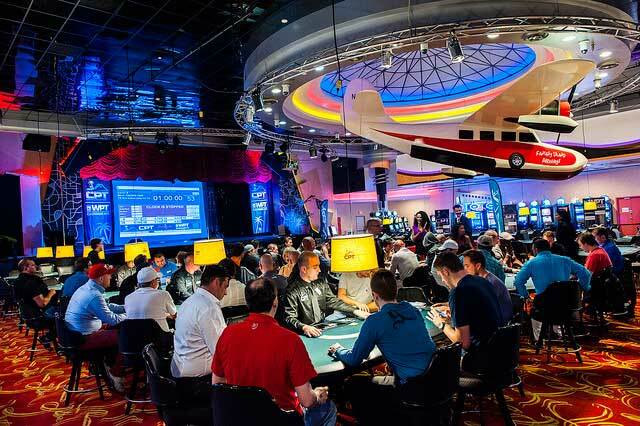 At the final table, all remaining players must be in agreement on any deals, or play will continue. The decision of the tournament director is final. When not covered by these rules, standard tournament poker rules will be enforced to the best of the ability of the tournament director.